Close Finance (CI) is proud to be sponsoring TrustFord as they launch their ‘Breakout for Ben’ long distance driving charity challenge. TrustFord have chosen to support the charity Ben who provides free and confidential advice to anyone who works, or has worked for the automotive industry. The Jersey team that Close Finance are sponsoring, made up of Ricky (Sales Admin), Connor(Parts Advisor), & Humberto (Hertz Supervisor), have named themselves ‘Beans Around TheWorld’ and will be setting off for the challenge starting point in Stratford Upon Avon next month. 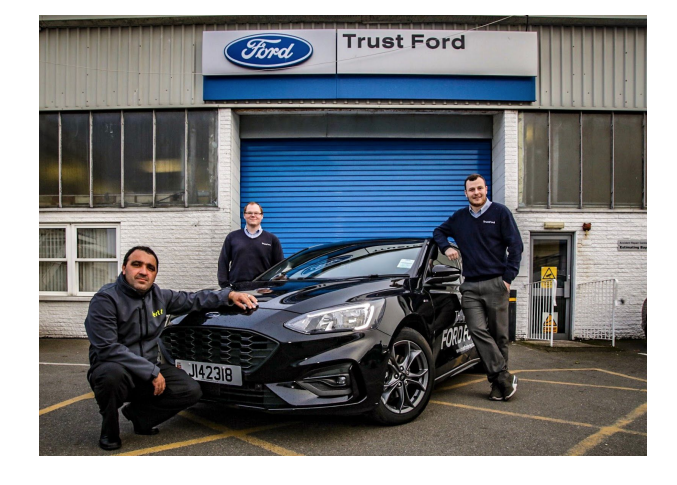 It will see the members of their team racing against teams from other TrustFord dealerships across the UK to see who can travel the furthest in 25 hours in their fully-fuelled All-New Ford Focus which will feature Close Finance sponsorship artwork on the bonnet. The Breakout for Ben charity challenge begins on the 6th of December with the JerseyTrustFord team arriving back in the Island on the 8th of December.